Where Romance meets Flavor… At Bistro Cacao, chef-owner Kemal Deger brings nearly 25 years of culinary expertise to your table. In Bistro Cacao’s historic location we now invite you to enjoy our new concept of modern bistro-style French cuisine in a romantically charming and comfortable setting blending old France with modern creative touches. Great! The only things I would improve with staff are below. 1. Clean up the bread crumbs on the table after patrons finished their pastry platter. 2. Once the staff dropped off the customer's items. Wait a few seconds and ask customer's if they need anything else. I needed wait a while for my ketchup for eggs for my brunch item. Ambiance was cozy, comfortable and romantic. But quality of cooking was mediocre and service was spotty. One definite plus is that place is quiet enough that you could hear table mates conversation without straining, unlike many noisy restaurants in DC. For the high price level, quality of food and service should be much better. Great food, excellent wine recommendations and superior service. We will return. Had a great dinner. 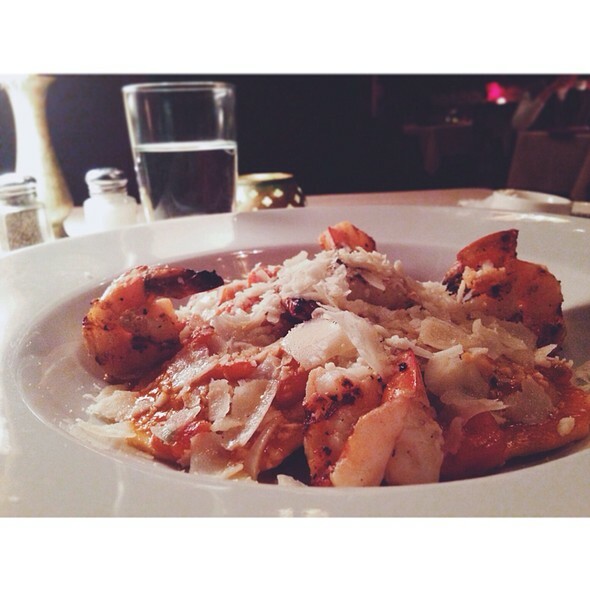 The food was cooked perfectly and the service was attentive. It was a rare treat to go to a restaurant that was not ridiculously loud. We could actually have a nice conversation without shouting. A low bar I know but so many places have great food and yet terrible acoustics. It matters. We will definitely be back. Great place, great food, great atmosphere! Food was excellent and we had a variety of dishes, including soup of the day and the vegetarian special. Wait staff was professional, attentive and very accommodating. Decor is a bit over the top. Noise level was very low which we greatly appreciated. I was pleasantly surprised at how reasonable prices were, though it was lunch. What a pleasant surprise! It was a fairly warm night so we ate on the patio. Food and atmosphere were superb. Service was impeccable. Very cozy inside. I’d call this a hidden gem since most of the other more “popular “ places were booked 3 weeks out, but there were available times here. We wanted a nice dinner together before my husband started a hectic work schedule. Our evening was perfect. We started our meal with a cocktail (French 77) Amazing! Appetizers were French onion soup & lobster bisque. The onion soup was better tasting in my opinion. Next the scallops appetizer & mussels. The mussels were perfectly cooked as were the scallops. We both enjoyed our dishes. For the entree’s the filet steak & quail. Again, perfect & delicious. 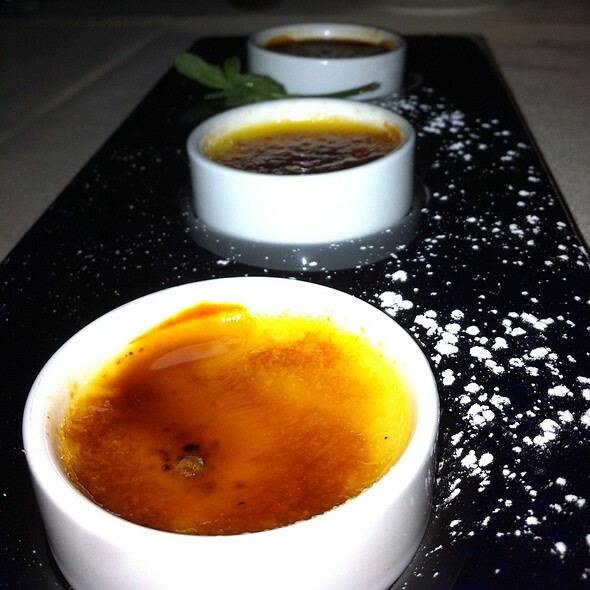 For dessert we had the creme brûlée trio & profiteroles, awesome! For my taste the best dishes of the evening were the onion soup, the quail & profiteroles. The service was friendly, efficient & non-intrusive. We asked for wine paring suggestions. Each glass was wonderful & perfect for the corresponding dishes. Had a great meal and the staff was exceptional. We dine here often and always enjoy our meal. Our neighbors were very loud. Service was good. My wife went for the fillet but they were out. Fish and T Bone were good. Nice ambiance, good service. I tried the duck. It was pretty good but I’m not use to duck. Service was exceptional, very concerned and accommodating to our schedule. Very nice people. We ended up having a lovely meal, but it got off to quite a rocky start. The restaurant was very busy when we arrived and no one greeted us for several minutes. Although we had reservations, we had to wait 15m or so to be seated, then another 5-10m for someone to pour us water, then another 10m for the waiter to greet us. This was particularly puzzling because we were seated right next to the wait station, but the waiter was very preoccupied with entering information into a computer terminal for 15m or so after we'd been seated. We assumed we must have been assigned another waiter, but once we finally attracted his attention, the service picked up & he was much more attentive, ensuring that our on-the-fly wine pairings arrived with each course. The food was very good. 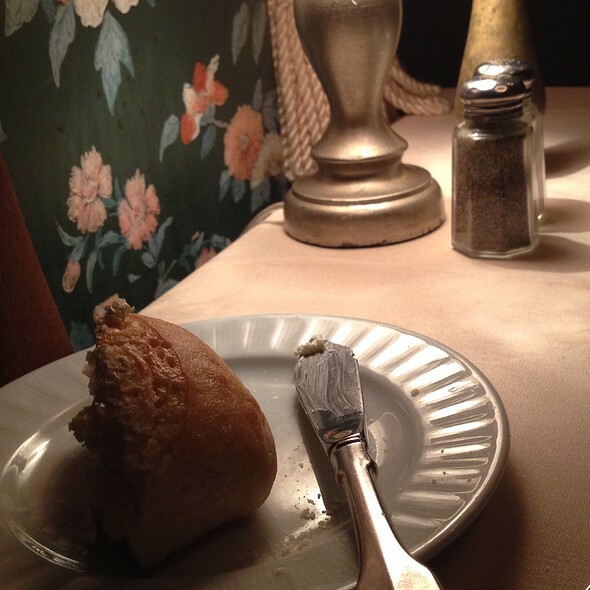 The atmosphere (inside) is very romantic & authentically Parisian. A delightful meal. 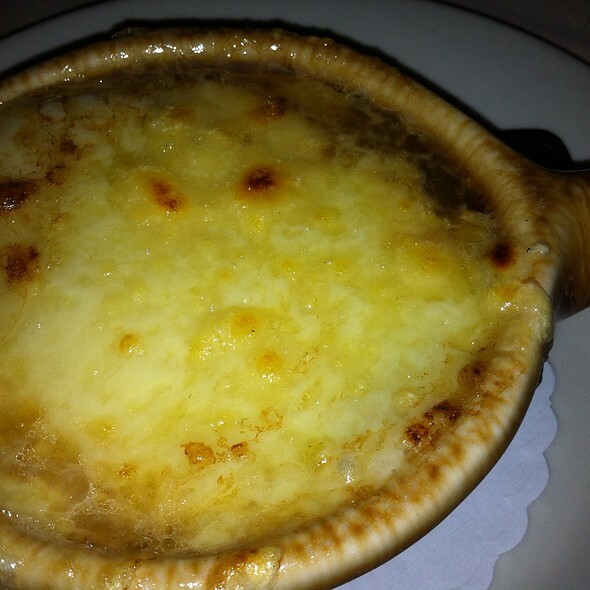 It was a cold wet night and French onion soup was wonderful. The party of four were delighted with their selections and service. Thank you. Warm, friendly, knowledgeable staff. Delicious food. Spectacular service. Wonderful decor and atmosphere. A very special place. This place was awesome. From the amazing food, to the privacy it was top drawer. We love foie gras ( impossible to get in CA) and it was delicious as was everything we ate. We sent friends there for a great evening a few days later. We'd go back at least once a month for excellent food and service by Anthony, David and Damien if we lived in the area. Alas we don't. GO if you enjoy French food! 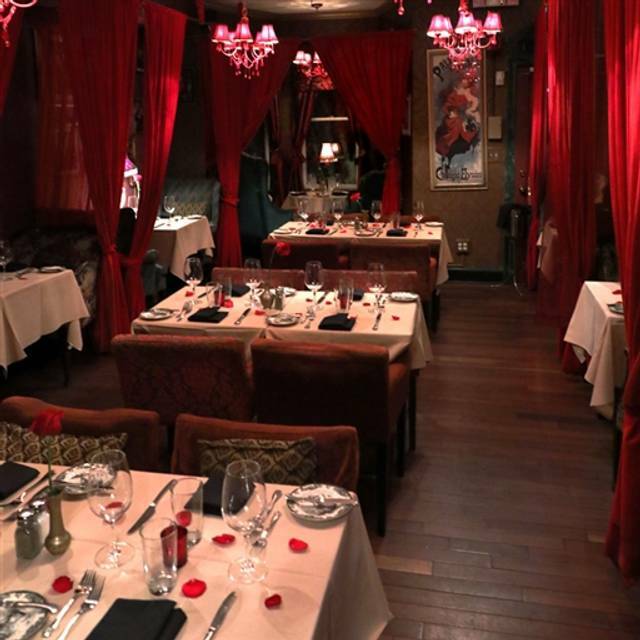 True to reviews, Bistro Cacao creates a private dining experience. 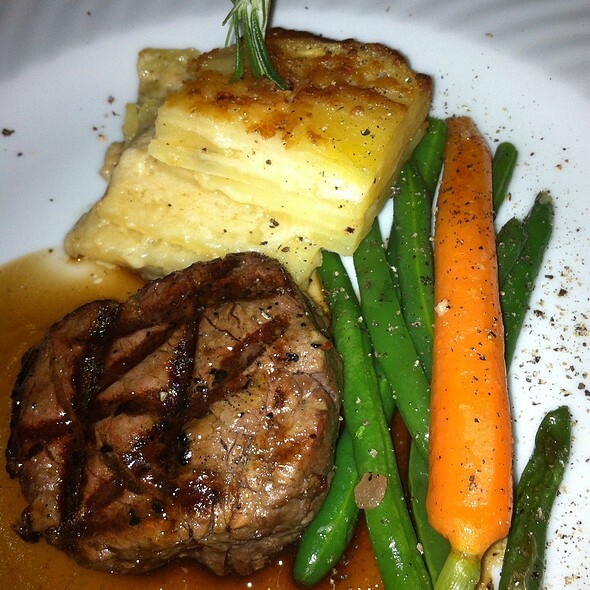 As for the food, the duck, while superb, could not beat my dining companion's filet mignon. Both sauces were delectable, but the filet was impeccable. I'm from Texas, ya'll. I know beef. Bistro Cacao beat my last Texas steakhouse meal in both price and taste. Four very happy diners! Amazing dishes, charming atmosphere, wonderful wine recommendations. We will be back. Fabulous experience! This was our first visit to celebrate our 45th wedding anniversary. Delicious food. Lobster bisque and mushroom soup superb. Amazing romantic decor. Hannah was lovely! Our new favorite French restaurant in DC. A lovely relaxing place for brunch with a good menu choice, and well-priced. We had great service and really enjoyed our food and time spent here. 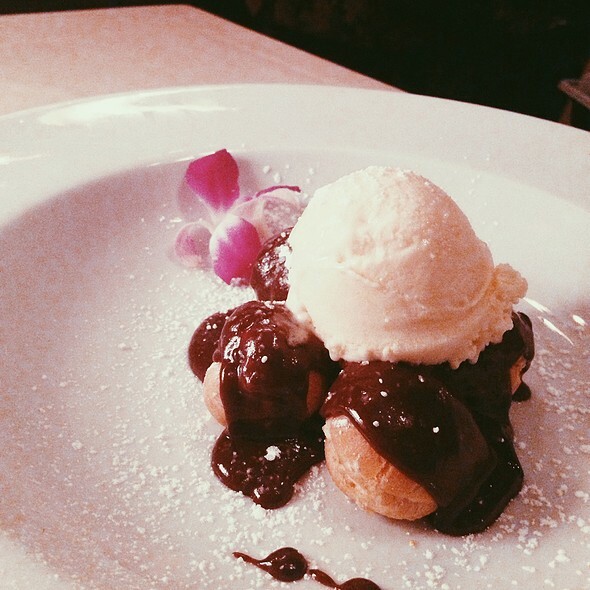 It’s been a few years since I had been to bistro cacao so I wasn’t sure what to expect. The food was still very good and the service great as I remember. The only thing I would suggest is that they spruce up things a little—in the area we were sitting the wallpaper was curling away from the wall. Loved the atmosphere but the food was really average and did not warrant the price. Steer clear of the Foie Gras dish - at $19, the portion size is minuscule and flavor overwhelmed by the excessive quantity of thick, fruity syrup. It was a huge disappointment. The French Onion Soup was quite good. The Salade Cacao was flavorful, but again a small portion. As for entrees, the lamb chops were delicious - perfectly done. The fish special (Baramundi) was ample and very well done. Our waiter, Sam, was friendly and reasonably attentive once he got going. Our table was nicely private, but the chairs are too low for the table and the wallpaper needs to be replaced - it was taped-on in places. All-in-all - an inconsistent restaurant that isn't worth the price we paid. We recommend trying one of the many other French restaurants in DC. Easy to walk to from Union Station. The decor was authentic French. I felt like I was back in Paris! Food was amazing, service was excellent. Highly recommend Bistro Cacao! 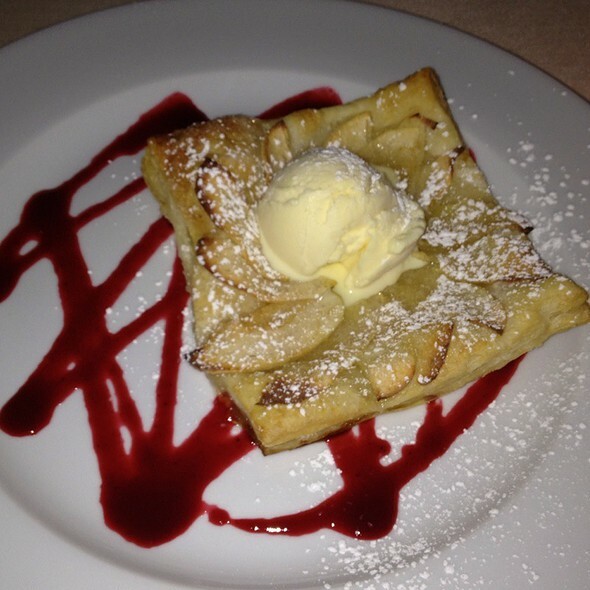 I would recommend for wine, appetizers and dessert, just to enjoy the romantic old-fashioned vibe of the place. The food is ok but not spectacular. Fish (bronzino) was cooked properly and came with tasty cream sauce; however sides and presentation were nothing special. Calamari was cold and tasteless. Crepe" was a seafood filling covered by a pasty round mound of dough; despite the ofd shape, the filling and red pepper sauce were tasty. Creme brulee dessert was superb! 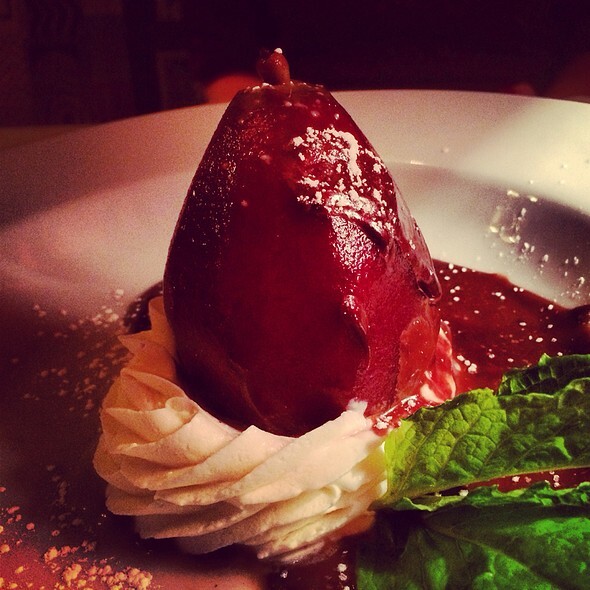 Poached pear was ok. Overall this was an excellent experience for a birthday dinner. As opposed to many other restaurants, we were able to carry on a nice conversation throughout dinner at normal speaking levels. Anthony provided excellent service from the moment we were seated until we were leaving the restaurant. This place is a gem. Cute French bistro. Easy conversation venue. Good food, service, and atmosphere. We had a very enjoyable Saturday brunch for 4! We were most pleased with our special birthday dinner at the Bistro Cacao. The Matri d' was most welcoming and accommodating, and we had a quiet table at a front window. The waiter was excellent, attentive, but not obsequious. The food was prepared hot and served quickly. We have visited several times and for a dinner for two they have lovely alcove tables which offer good privacy. We plan to return again. Wonderful cosy place to celebrate our anniversary. No one in our group had been here before. Everyone loved it. Our desserts were especially good. Wonderful experience from start to finish. Ambiance was cozy and friendly. The food was just incredibly delicious and beautifully presented, with just right proportions. The host, bar, and wait staff were welcoming, attentive, and friendly. The value of the food, wine, and service was excellent.